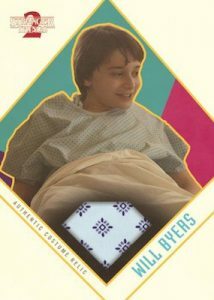 2019 Topps Stranger Things Season 2 - Entertainment Card Checklist	Overall rating:	3	out of 5 based on 1	reviews. 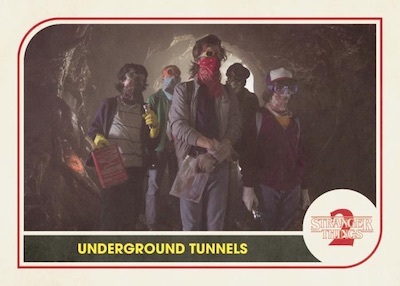 2019 Topps Stranger Things Season 2 is the second trading card release that is aimed at fans of the popular Netflix Original Series. 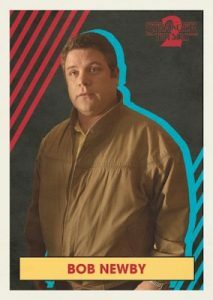 The second season debuted in October of 2017 and was a big success. This set chronicles the events of that season. 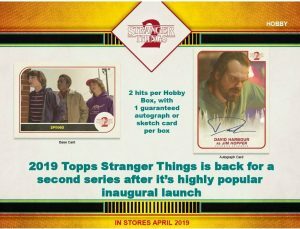 Each hobby box guarantees 1 autograph or sketch card, as well as a second hit, be it autograph, sketch, or relic card. 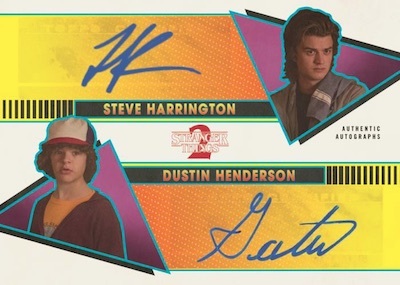 The release is not overly expensive, and the actor autographs will make for nice cards for fans of the show. S-4 Who You Gonna Call?